Weevils on a leaf. 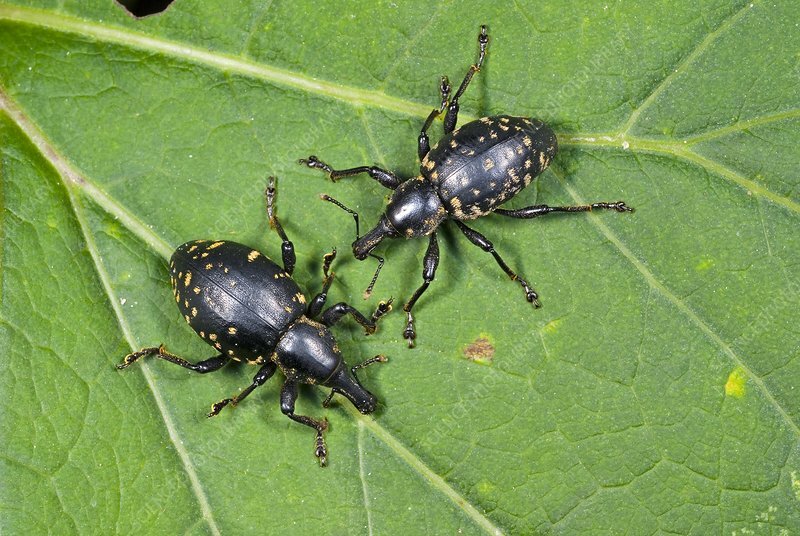 Close-up of male and female Liparus glabrirostris weevils on a butterbur (Petasites kablikianus) leaf. Photographed in Tatra National Park, Poland.